Travel quotes can be powerful. Through quotes, we have been inspired to take chances, we've been inspired to travel, to take action, and to strive to live a better life. Dave and I have been gathering quotes about travel for years. From inspirational quotes or motivational quotes, we find that other people often say the words better than we can. 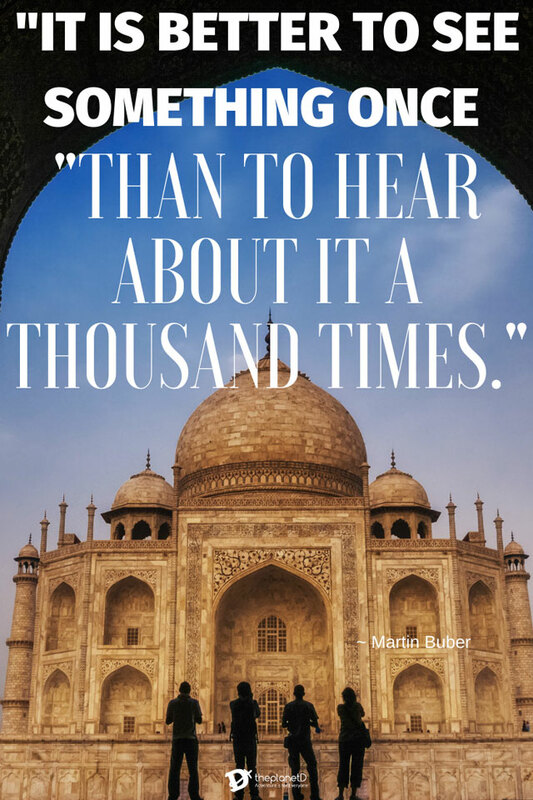 We thought it time to round up all the traveling quotes we've posted on our travel blog, pinned to Pinterest, and shared on social media together in one place. 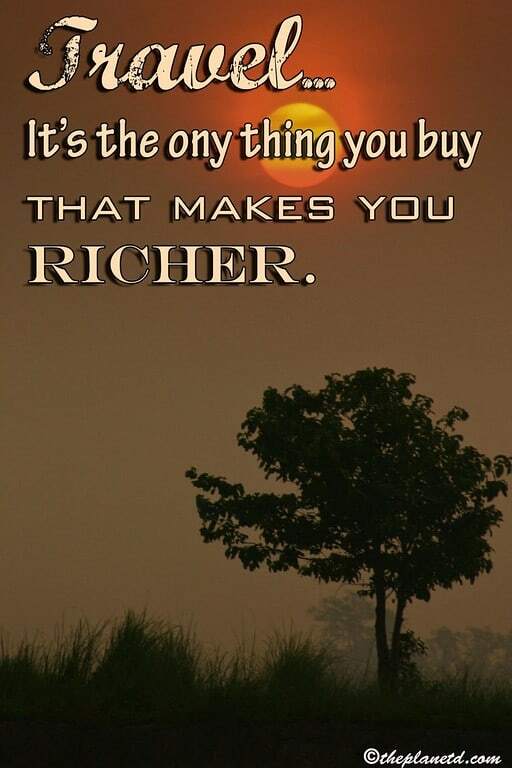 Okay so maybe it isn't exactly true because if you buy a house, it may grow in value and if you buy stocks, you may get lucky and hit the jackpot, but you can never go wrong with travel. But travel brings riches in life with experiences, learning and making new friends. Feel free to pin, save, tweet, and post on your own social media. Let's spread the word of love, travel, and adventure. We need it now more than ever! This is my favourite quote about travel because travel is truly an education. When you travel you learn so much, opening your mind and heart and becoming a better person. I remember clipping out cards from Oprah Winfrey's “O Magazine” when looking for inspiration in my life more than a decade ago. We would put her cards up all over our house. On the refrigerator, in the bathroom on our mirrors…everywhere. They were used to motivate us to find our purpose in life. Eventually, we found our purpose, and quotes played a large part in that. Since then, we've always looked to travel quotes for inspiration. 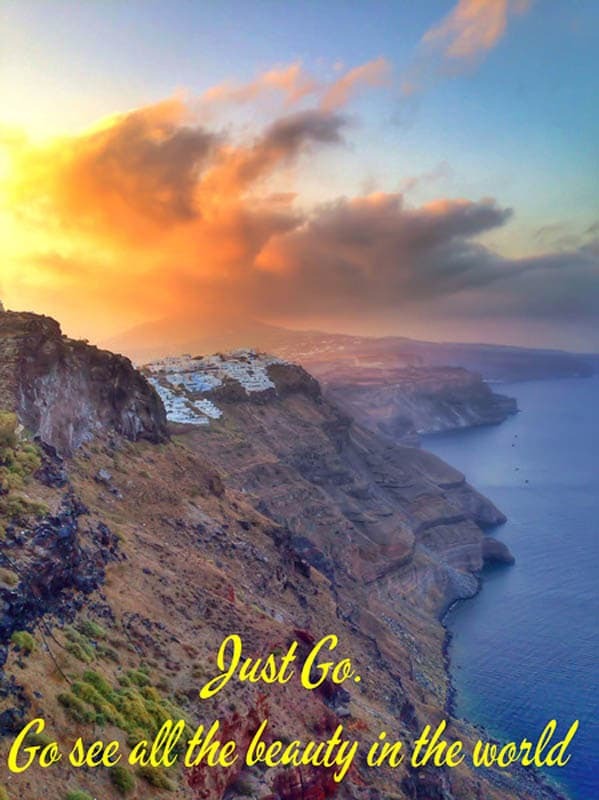 Since we love a great adventure, we thought we'd start by sharing our favourite quotes about travel that inspired us to push through, keep going, and have the freedom to travel the world. Even when the going got tough. Enjoy! I love traveling quotes. Whenever I take on a new adventure, I think about a quote to go with it. 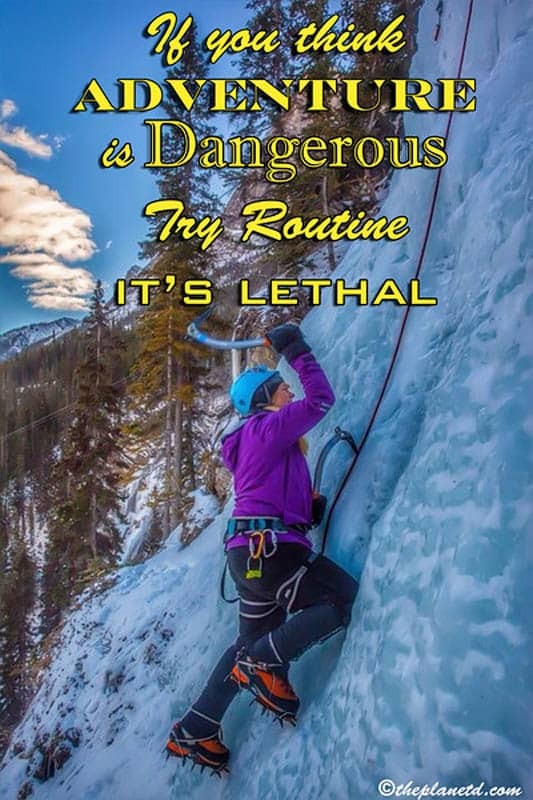 When ice climbing in Alberta, I definitely thought of this travel quote. 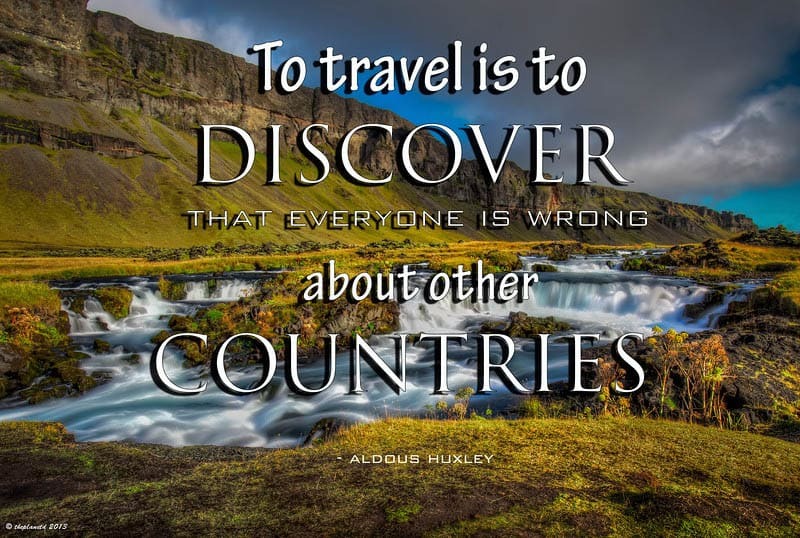 Do you love travel quotes? Got a favourite you want to add? We truly believe great things never came from comfort zones. What do you think? 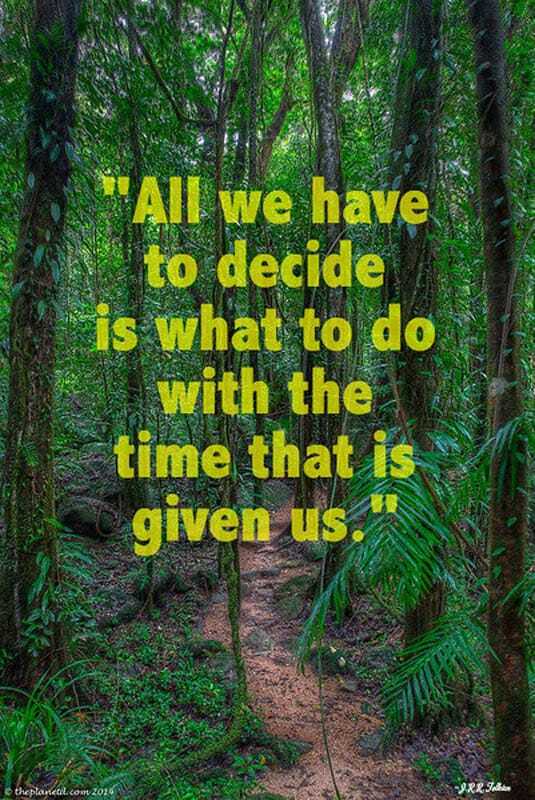 When looking for quotes on adventure travel, this one really stuck out by Maya Angelou. It wasn't until we started to live a life less ordinary that we understood how much control we had on our lives and just how amazing we could make it. This doesn't only have to be designated as a quotation on travel alone. 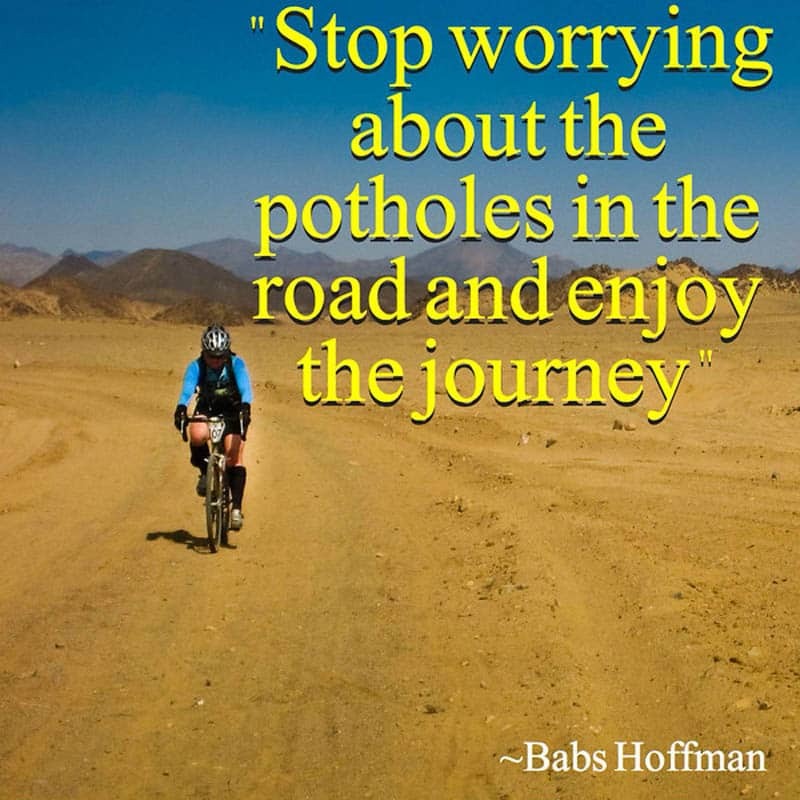 Life itself has a lot of potholes. 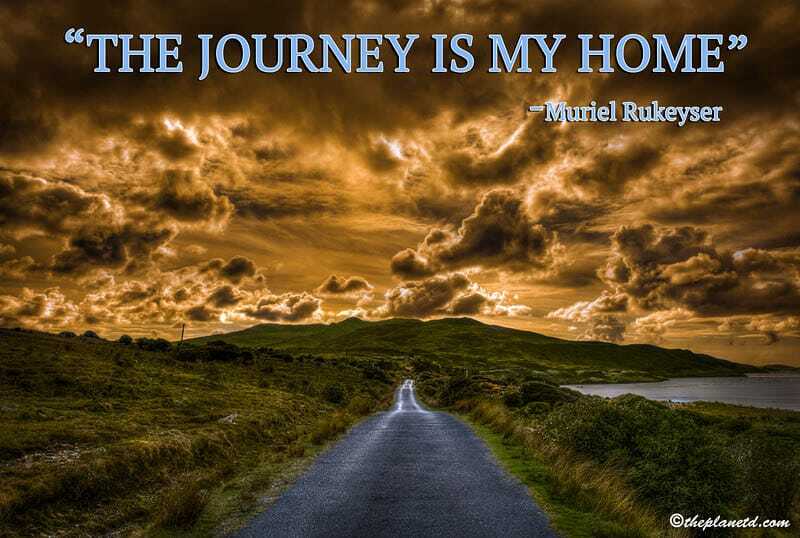 So whether you are traveling or at home working at your job, you should definitely enjoy the journey. 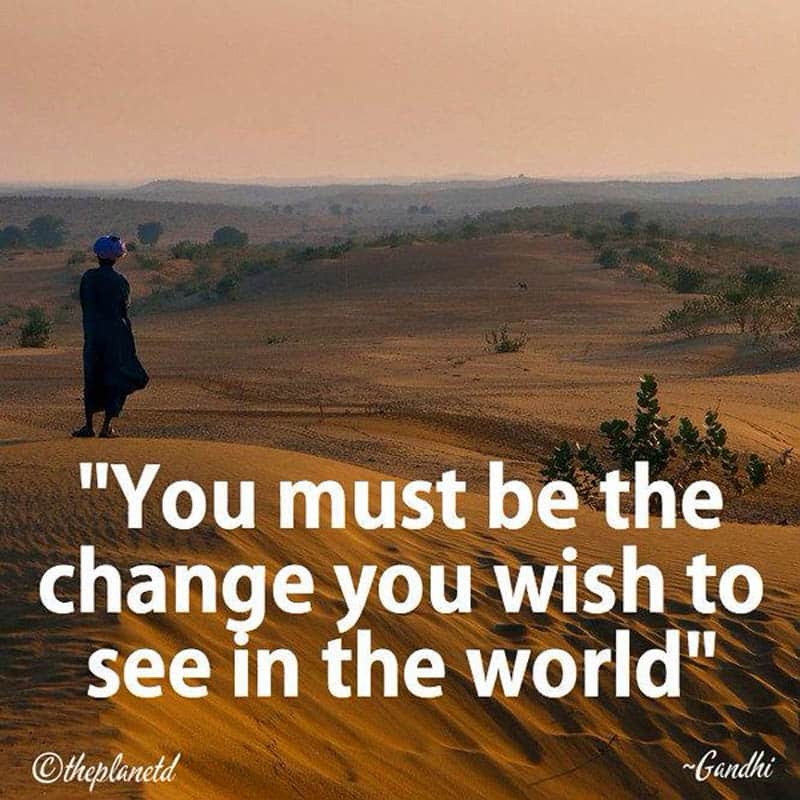 Are you wanting to travel the world but afraid to take the next step? The quote above says it all. 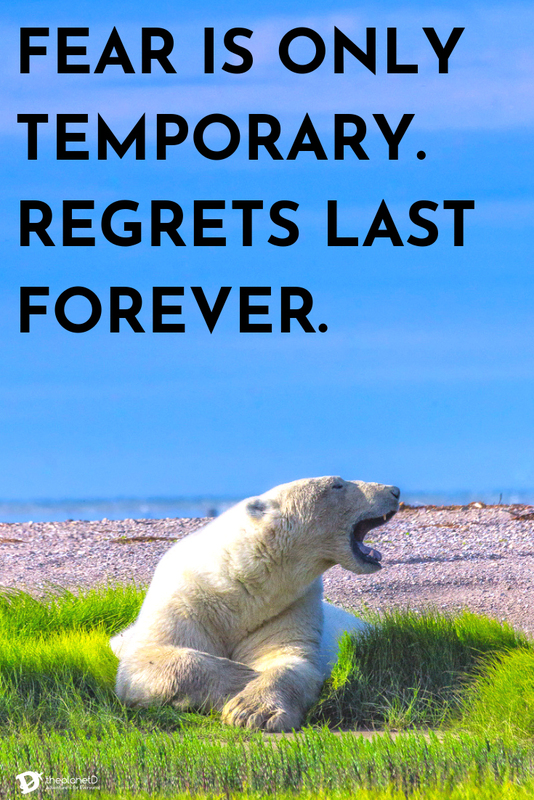 Fear is only temporary, but if you don't follow your dream, you may regret it forever. 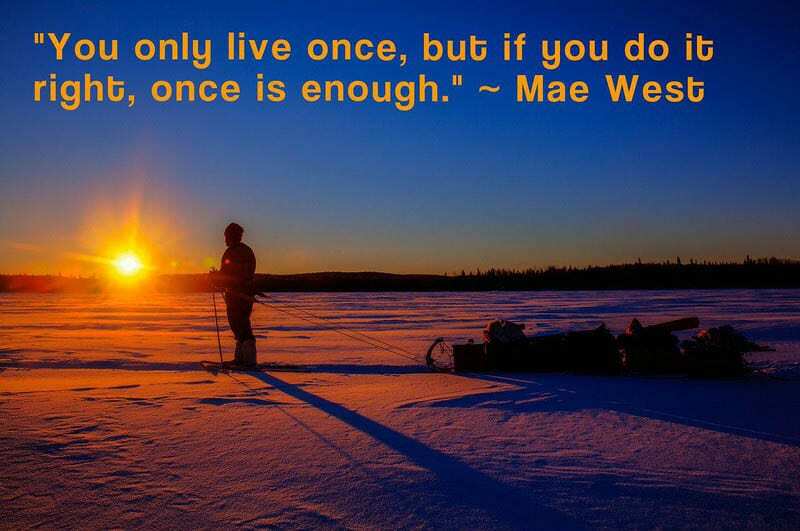 This is one of my favourite quotes on adventure travel. 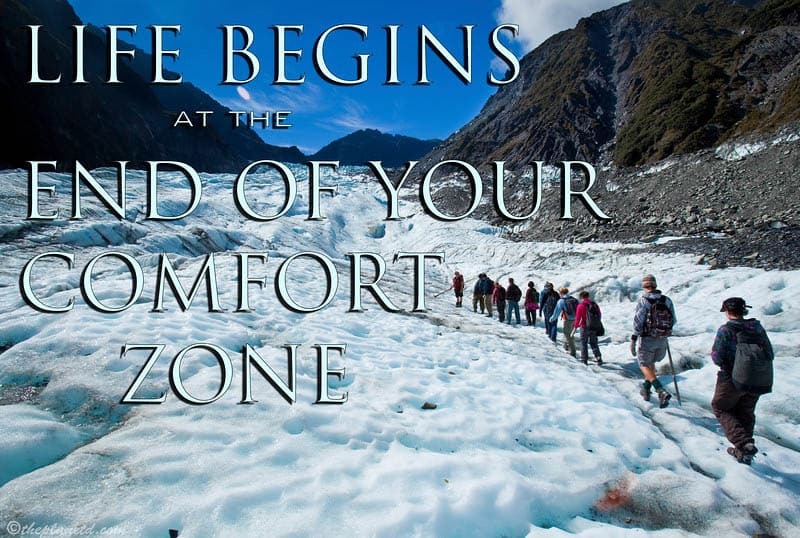 It's scary to step out of your comfort zone, but if you do so with proper training and guidance, a whole new life will begin! 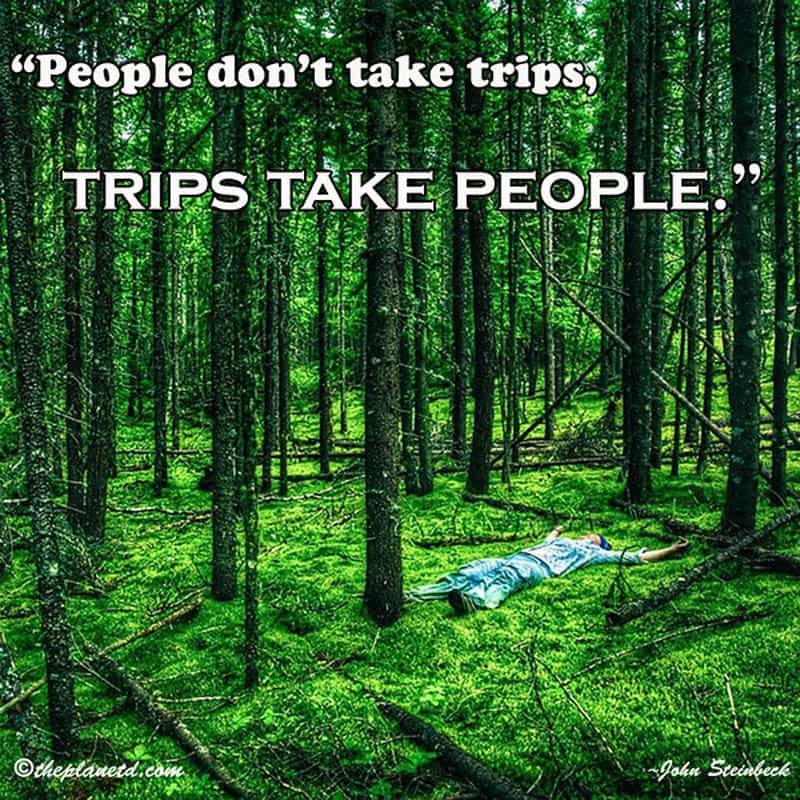 Wondering what this trip quote means? Well to me I think that you have to leave your burdens, your stress and your preconceived notions behind. 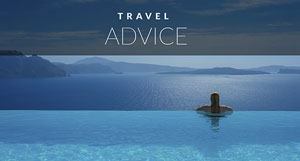 To understand travel, you must be open to new possibilities and it will change your life. 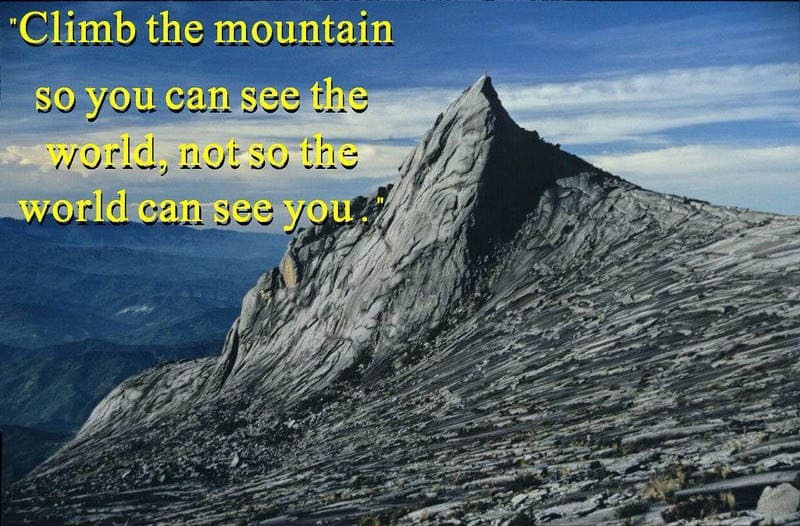 #51 “Climb the mountain so you can see the world, not so the world can see you. 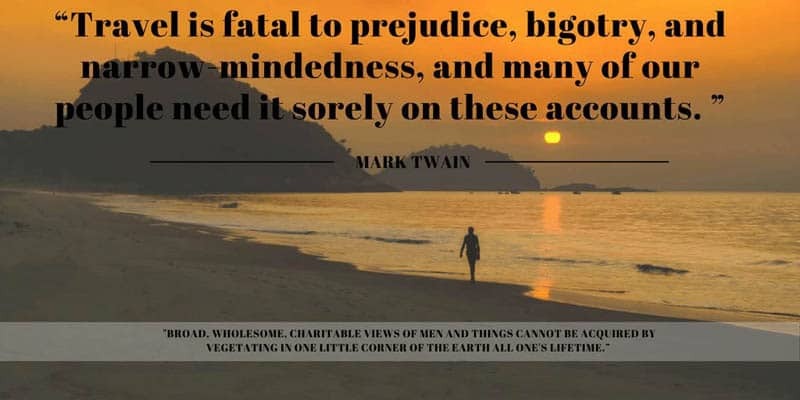 This is one of those quotes about travel that has never rung truer than in today's society. Everyone is travelling to show off and brag or catch a selfie rather than to have an experience. When we climbed the mountain above (Mount Kinabalu in Borneo) we didn't share one social media post about it and today it still remains one of our greatest personal achievements. When in search of travelling quotes, I always look for something that has a deeper meaning. When Dave and I first started our careers in travel, we kept one toe in our careers and one toe in travel. It wasn't until we finally let go of our safe life in the film industry and took a chance to go all into our new adventure travel careers that everything changed. We all make mistakes in life and travel. And it really is the mishaps and adventures you have along the road of life and travel that make for ever lasting memories. People often wonder what the purpose of travel is. How does travel make life richer and why does it resonate so much with so many people? These quotes about traveling inspire us to make more out of our travels than just a vacation. They ignite a spark that makes us want to understand the world and ourselves. Quotes about traveling often have a message of being free from possessions and things, and instead of having life experiences instead. 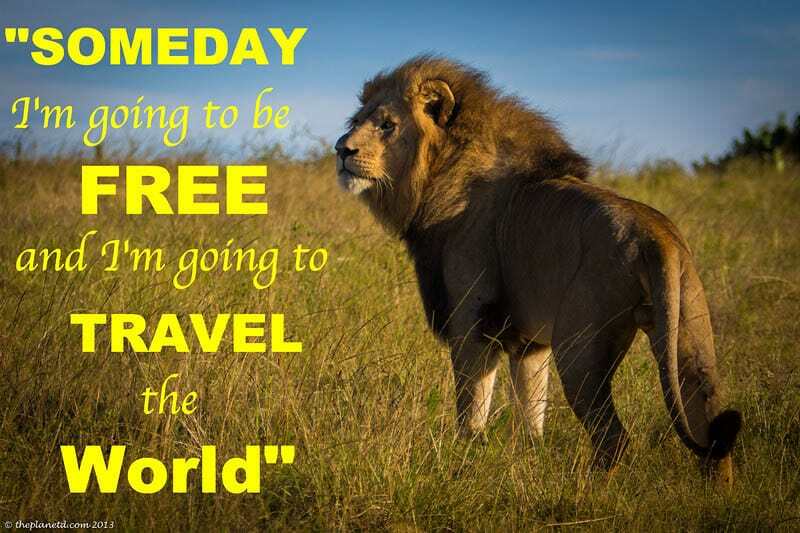 I don't think there is another travel quote that says it better than this one. When travelling, quotes often spring to mind. When we saw the Taj Mahal for the first time, we had heard about it many times. We had read about it and people had told us all about it. But it wasn't until we saw it that we really understand its beauty and meaning. There you go. Just because a person is well travelled, doesn't mean they are open and wise. You can travel to a hundred places checking off the bucket list. 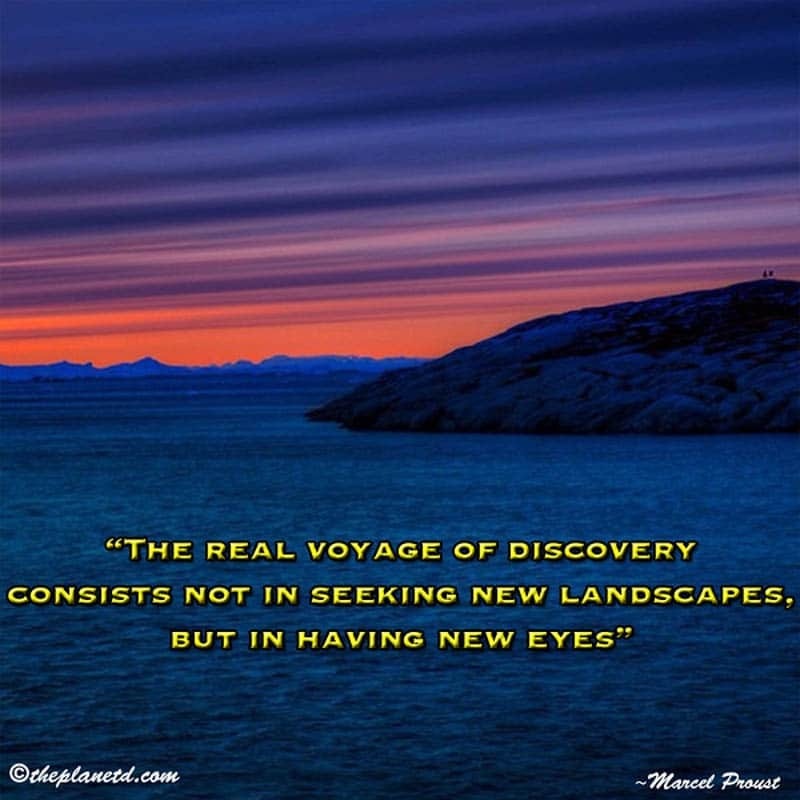 But to see with new eyes and to be open to new possibilties…well that is the true meaning of travel. I have to admit, Dave and I are like this. We just love to travel. It doesn't matter where. People snickered at us for traveling to Ottawa last week because it was so close to home. But we had the most amazing time in our own back yard. No matter where we go, we always learn something new. If there is one of the quotes about travel that stands out, this is it. 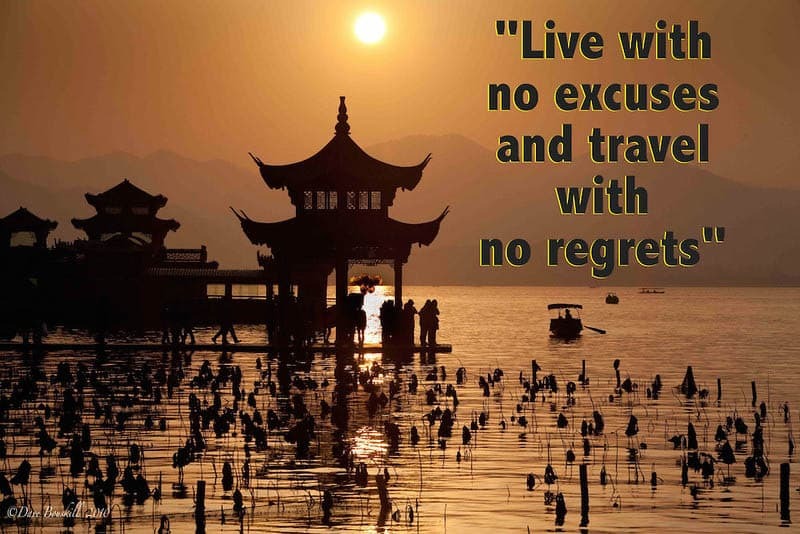 For life and travel, we all must follow our path without making excuses and we should never live with regrets. 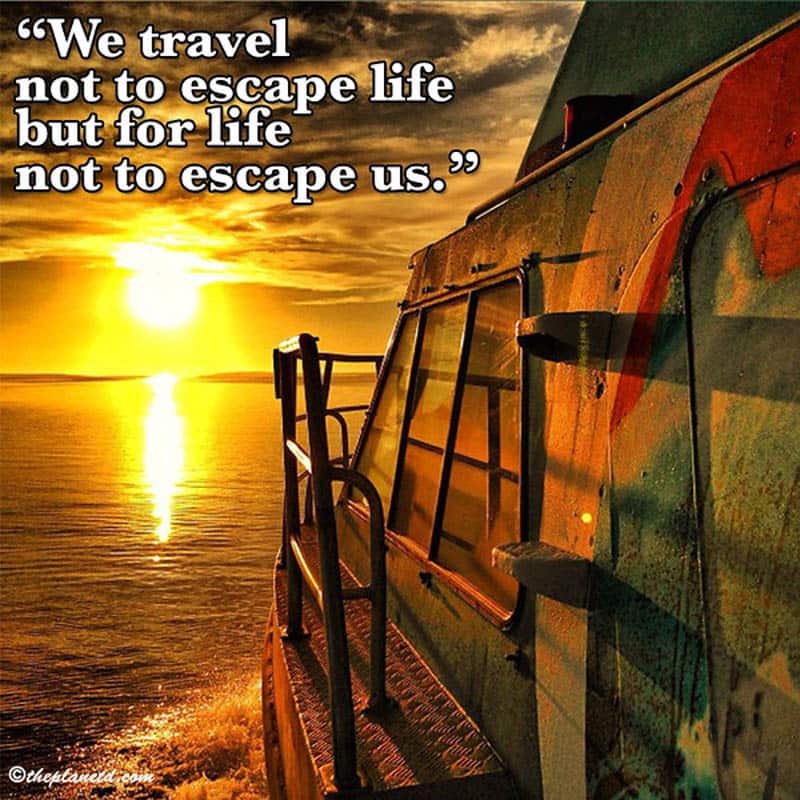 Many people think traveling quotes are all about people escaping and dreaming. 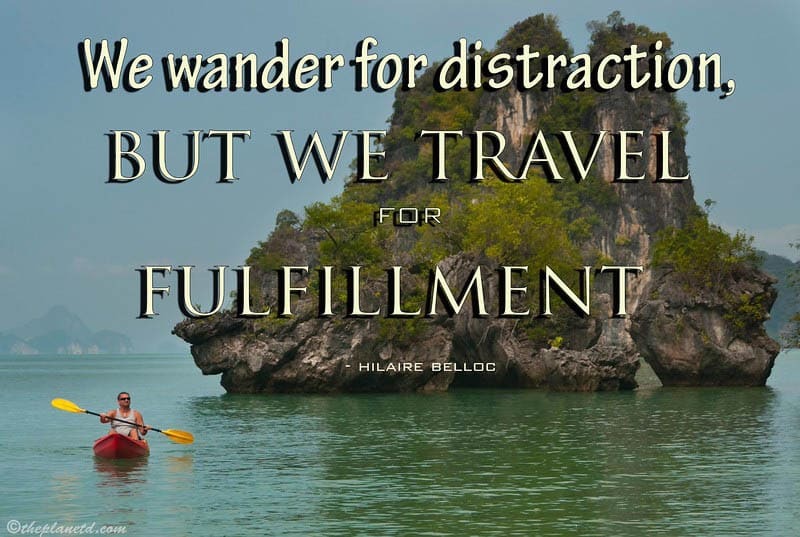 But to us, this quote captures exactly what travel is all about. We never traveled to escape life, we always traveled to find ourselves. Truth! We all take trips, but most of the time the trip ends up taking a life of its own. 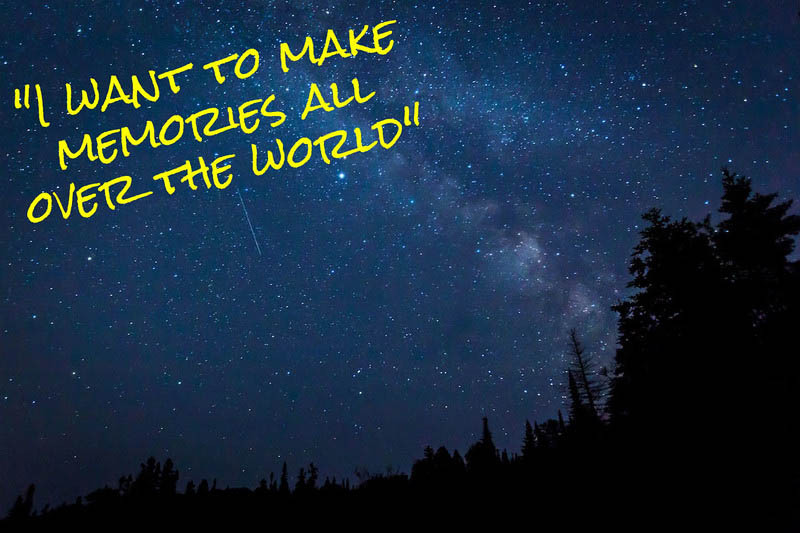 This doesn't have a deeper meaning it's just a cute little travel quote we want to share. 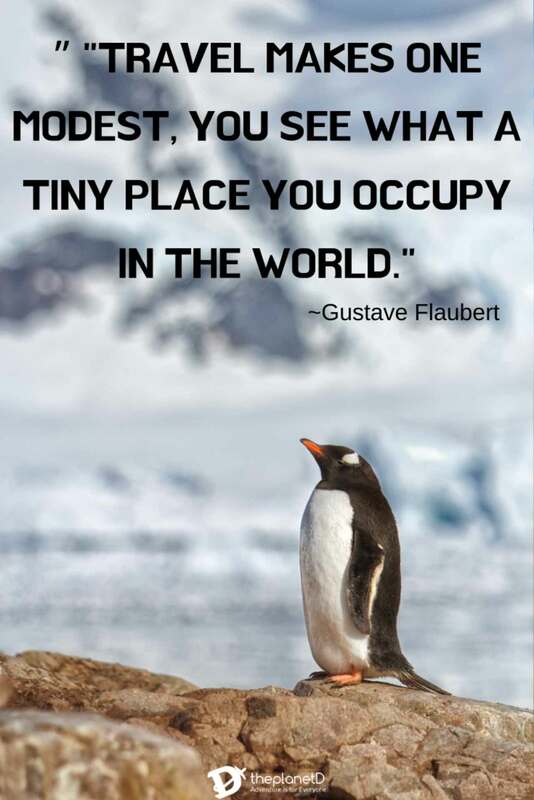 I think I said it above, but traveling quotes often mention the fact of how travel makes you humble and how life experiences are more important that accumulating things. It is easy to say in a quote, but when you do go someplace magnificent, you really do understand how insignificant you are and just how awesome this world it. Benjamin Disraeli put this in his famous quotes about traveling arsenal and it really makes me think. It is true that I have seen more than I remember. And then again, I tend to remember much of our travels differently. Perhaps I embelish a memory or create a more positive narrative than what the experience really was. Ain't that the truth. This can go either way. Perhaps people tell you not to go to a place because it is awful, when indeed it is beautiful. Or perhaps someone constantly tells you how wonderful a destination is. Well, go and see for yourself and make up your own mind. That's what this says to me. 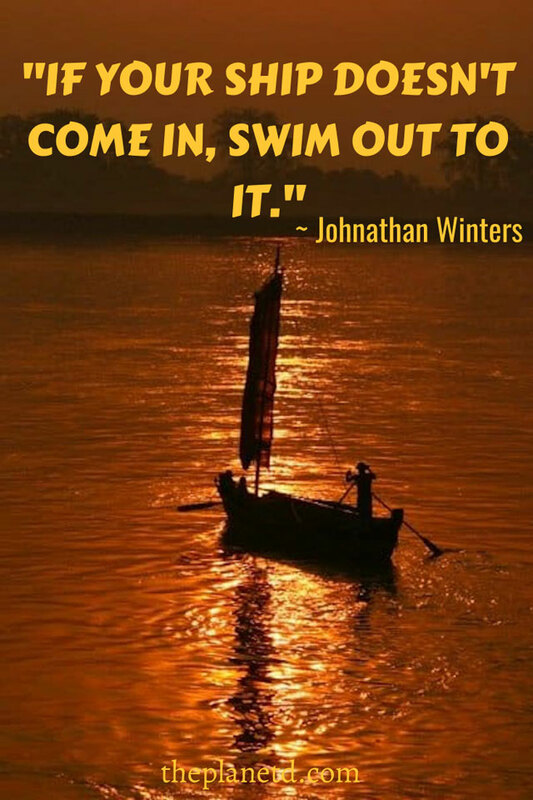 Through the years we've gathered a lot of quotes on adventure travel, quotes on travel and love and famous quotes about travel. As we hit the halfway mark on the post, we hope you have found some inspiration to take action on your dreams and maybe think about life and travel a bit differently. 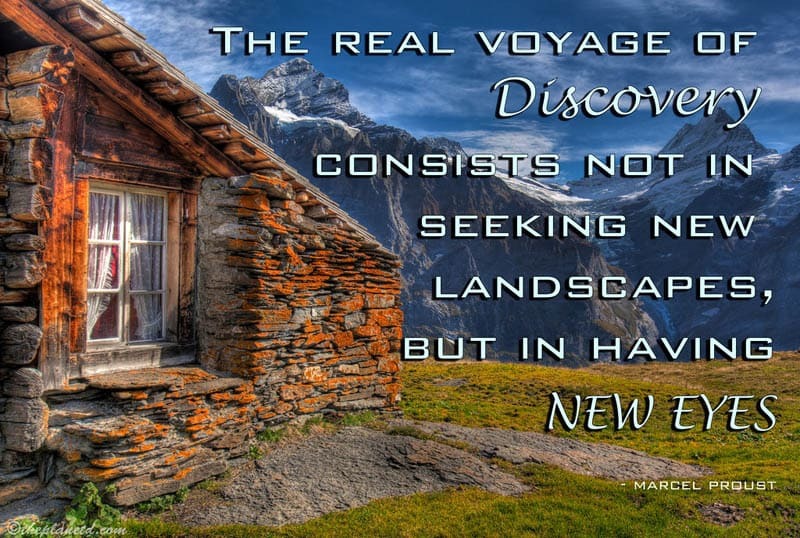 Mark Twain is one of the Greats when it comes to creating famous quotes about travel. We have always tried to live a life less ordinary and think outside the box. I do believe this has helped us have success in our business and our relationship. 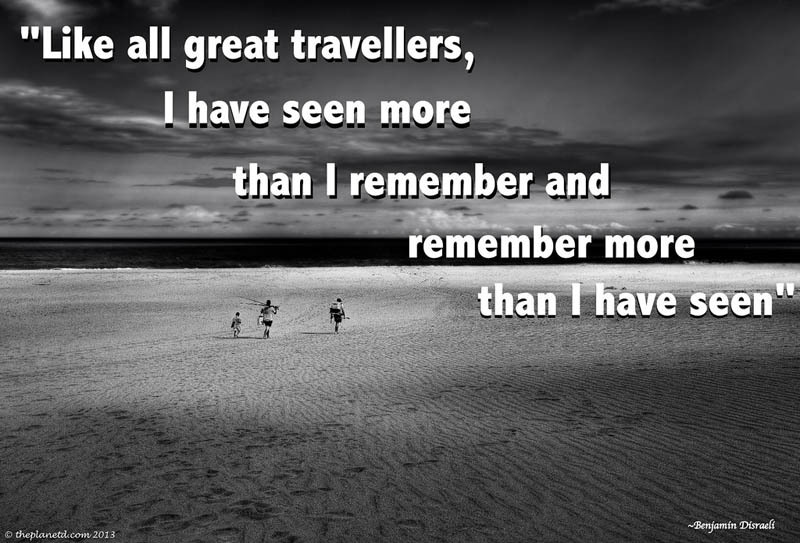 I keep this travel quote pinned to my wall. And this inspirational quote is very similar in sentiment. 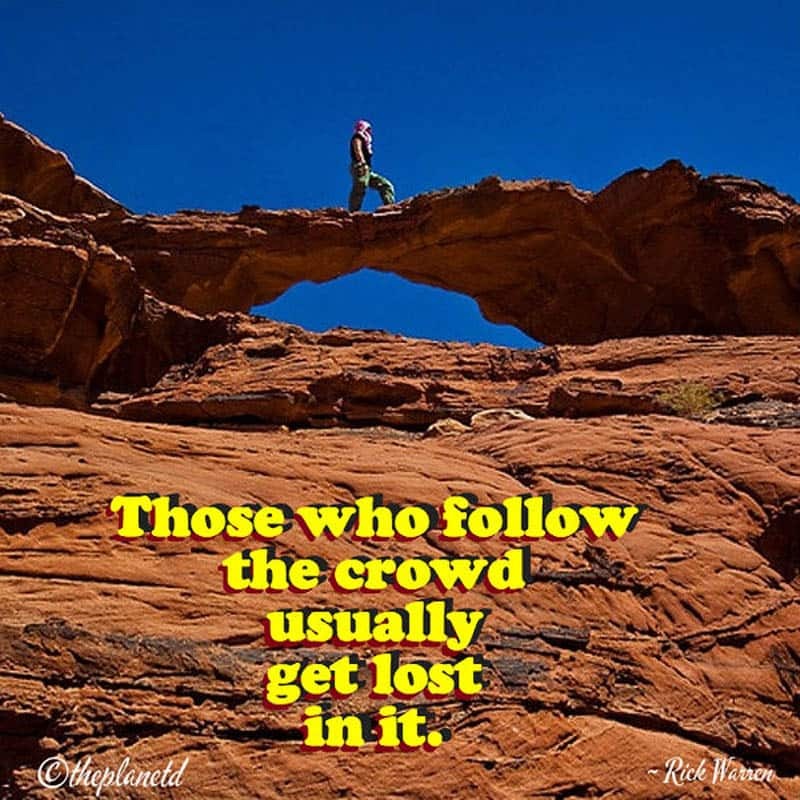 Don't get lost in the crowd. Be an individual. Think big and be brave. 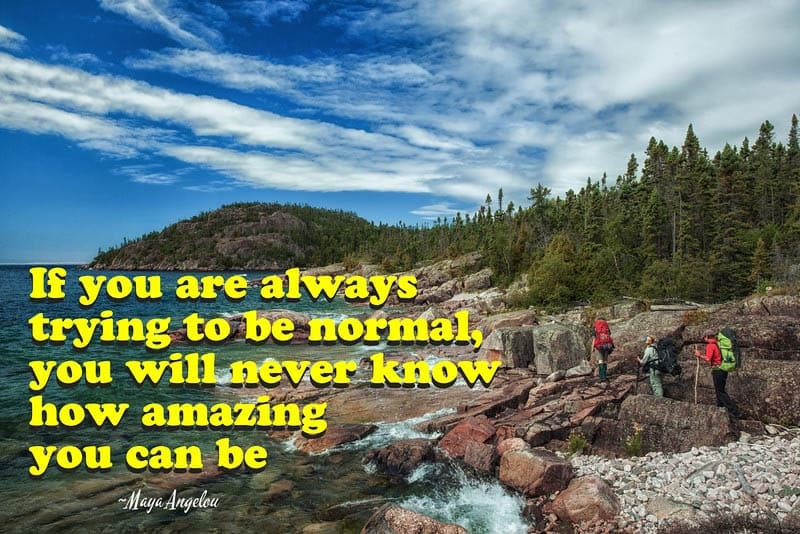 Stand out and live life to the fullest. I think in today's society this couldn't be truer. 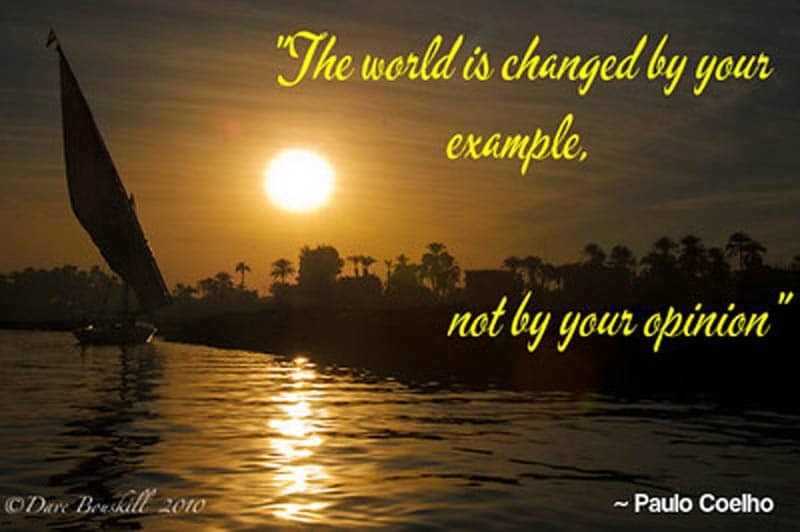 Lately, we all have opinions, but it is time for us all to start being the example of who we want and to live our lives. 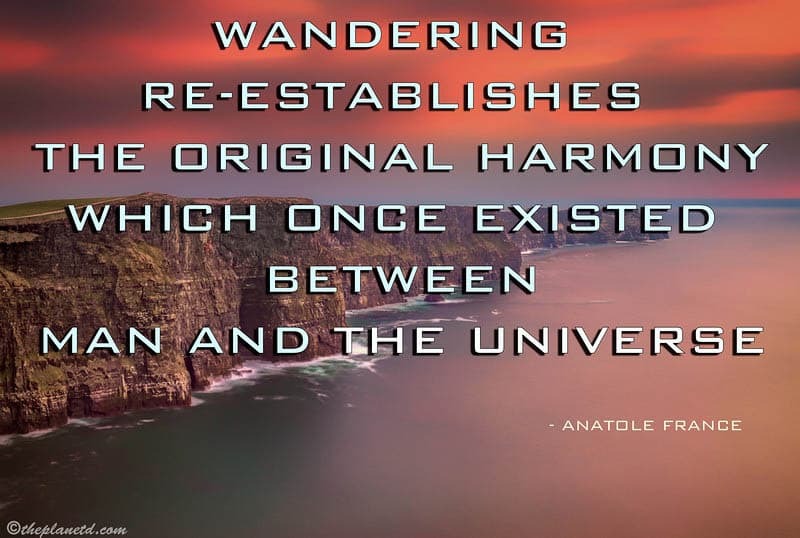 This is one of the great quotes about travel to other places. We often have preconceived notions of what other countries are like. 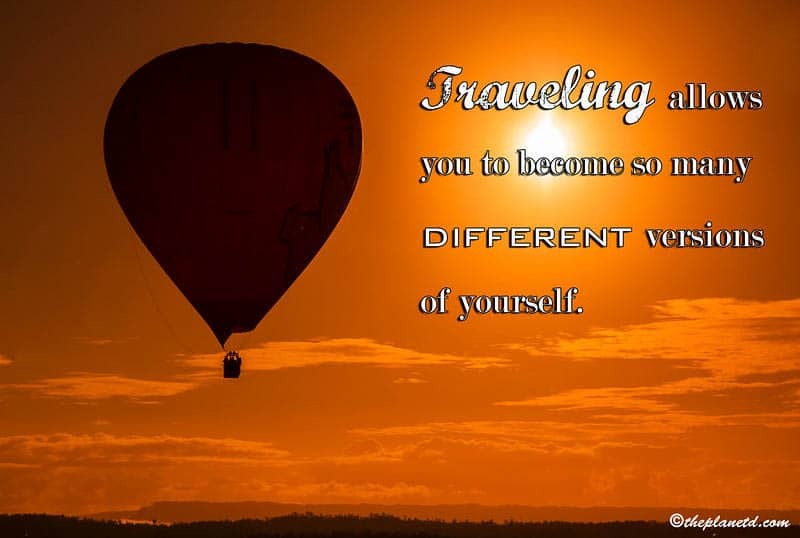 Travel helps us to understand and learn about different cultures and ways of life. 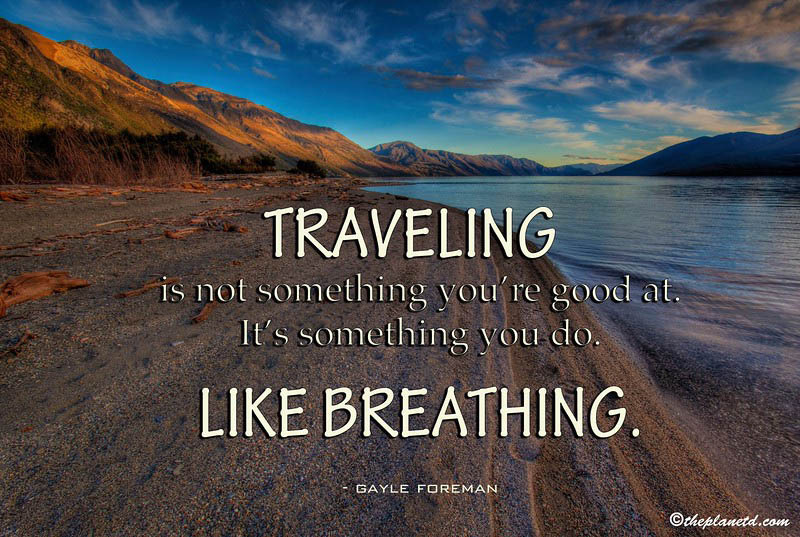 This travel quote couldn't ring truer. Travel often opens our eyes to different ways of thinking and understanding the world. We as travel bloggers love to preach what we have learned to the world, but we also need to live by example. That is something we strive to work on every day. One of my favourite quotes about wanderlust. One of the things Dave and I are most thankful for is the fact that we never stopped dreaming. We didn't become professional travel bloggers until our mid-30s. If we settled (like we were supposed to in life) we'd still be working at our jobs thinking we weren't allowed to have dreams once we reached a certain age. 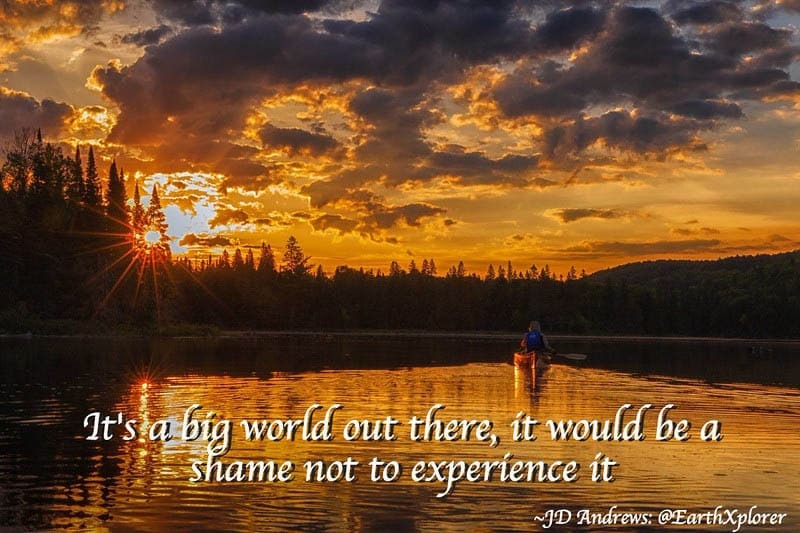 This is one of my favourite travel quotes because you don't have to travel to enjoy a sunset. Too many of us wait until we are abroad to appreciate life and nature. Get out there now and start living today. From home! We like to travel with purpose. When we first started traveling, we had no direction and just went around the world backpacking. 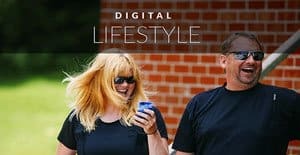 I'll never forget saying to Dave “I need meaning to my travels.” It was by creating this blog, creating our videos and creating our purpose to share our experience that I finally created myself. 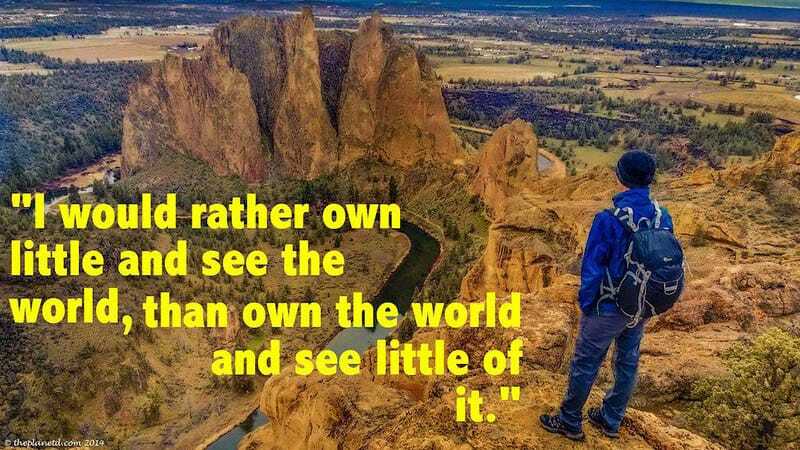 This is certainly one of the best motivational quotes that has to do with travel. I often hear of people complaining that they never got their break. But you know what? You can't wait for things to happen, you have to make them happen. 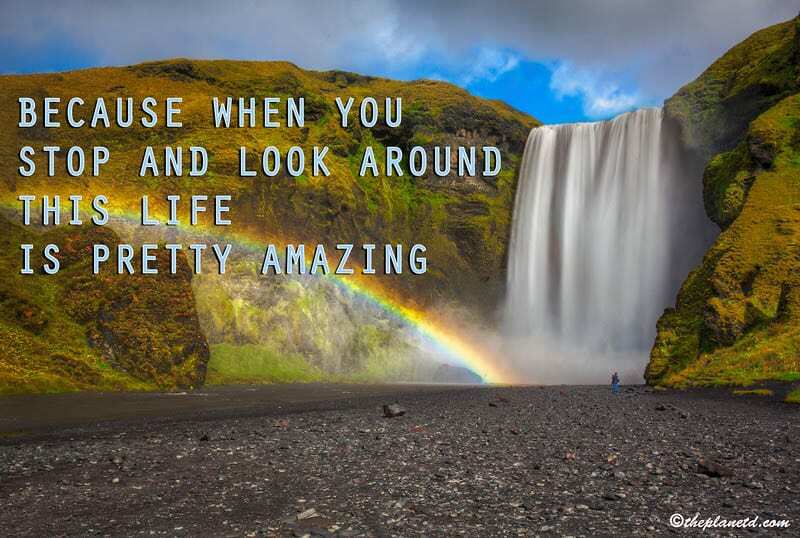 When you stop and think about it for a moment, life really is amazing. Don't let your life pass you by. 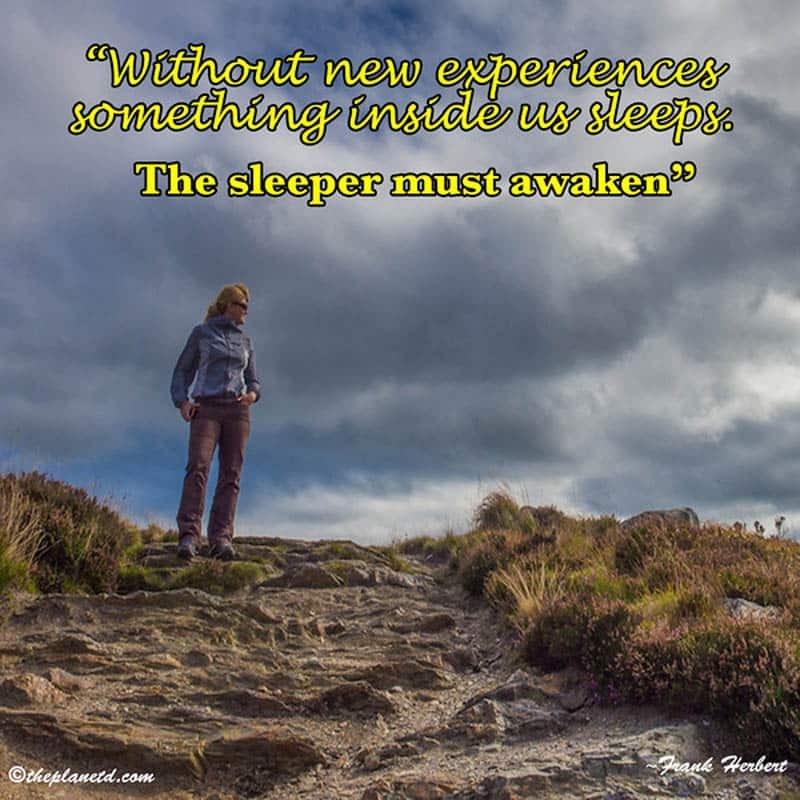 Travel can awaken the giant within. It did for us! It took us nearly 40 years to understand this motivational quote. All my life I worked hard and dreamed of what I might do one day when I retire. Once I learned that doing what you love is happiness and you won't have to dream about what might be one day. Ah, Mae West. I can just hear her saying this quote in that fabulous accent. Sometimes travel quotes can simply be about pure joy. I don't think we have ever felt more joy in life than when we were travelling and truly connected to this world. 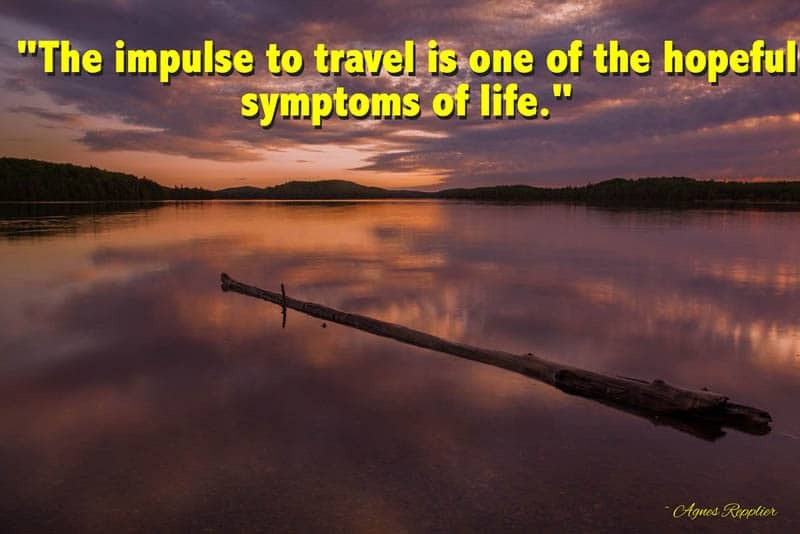 When we travel, we feel alive and these inspiring quotes capture that feeling. Dave and I feel that our hearts were truly made to travel the world. Even when we worked in the film industry, we were always planning our next trip. 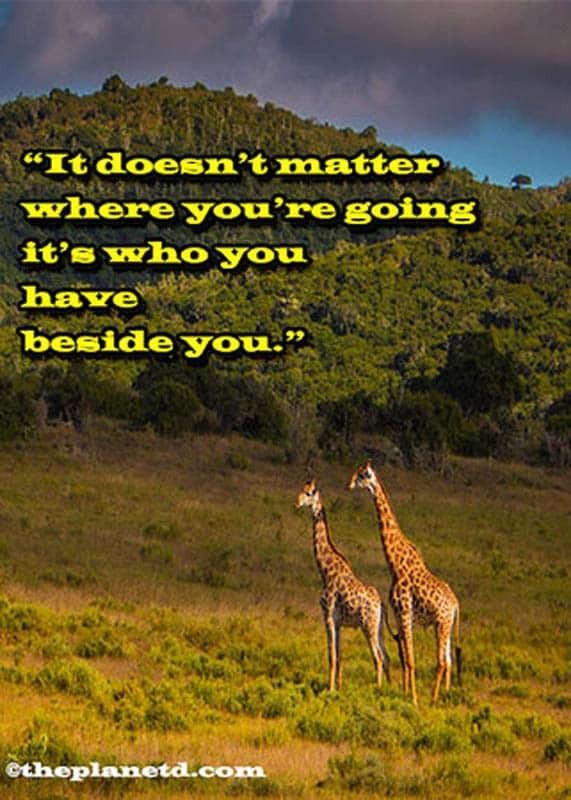 When it comes to travel the world quotes, this one describes us. Isn't this just the dream? 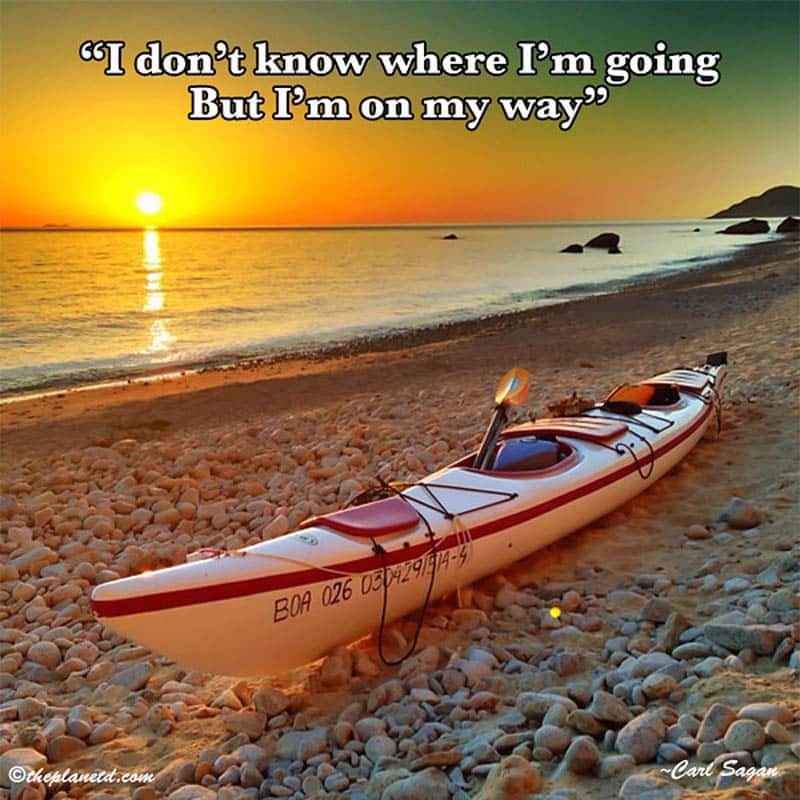 I don't know where I'm going but I'm on my way. I love it when I take a trip and clearly do not have a plan. That is when the real adventures have happened in our travels. It's true. Whenever we have an upcoming trip, we always feel hopeful. In life, one of my favourite feelings is hope. 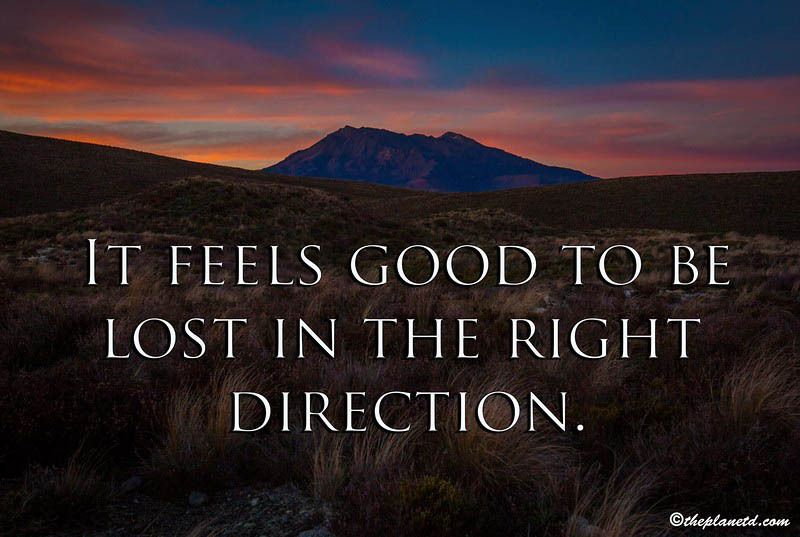 Do you get lost when you travel? Or are you a planner. 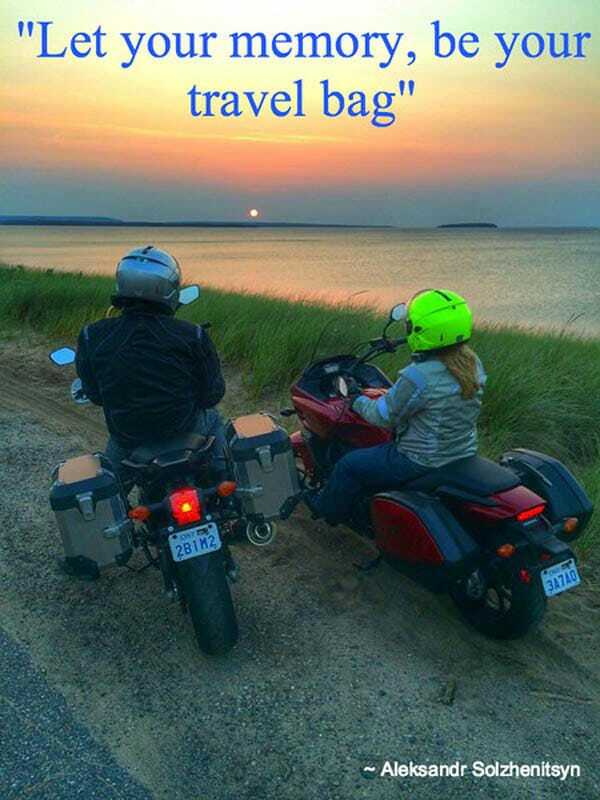 Here the traveler quotes an idea to go with the flow, just the way we like it. 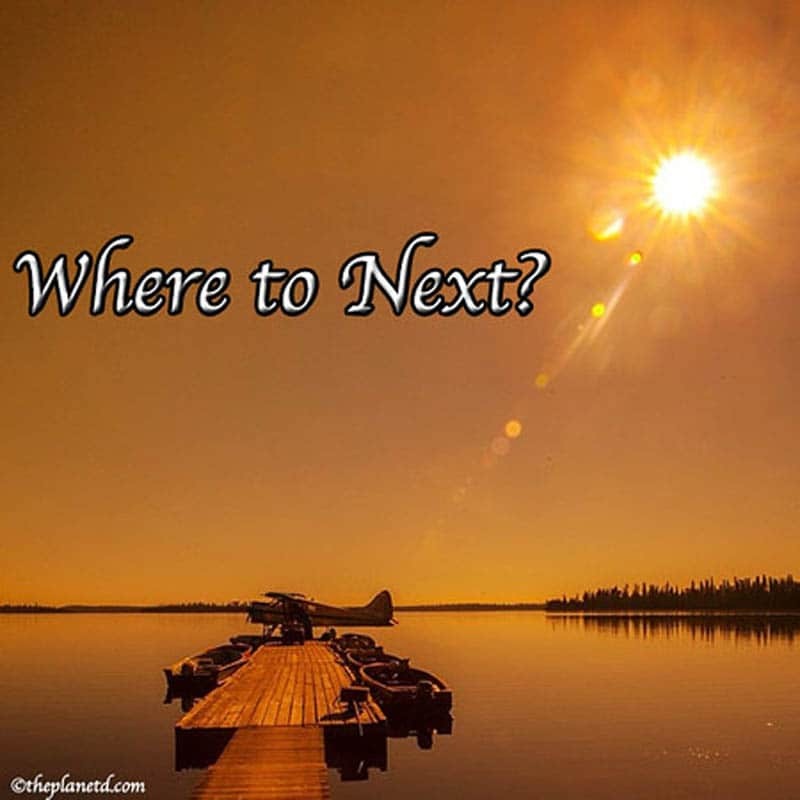 How can we love someplace we've never been? And yet, when it comes to travel, we all already know we will love a destination before we step foot on the soil. 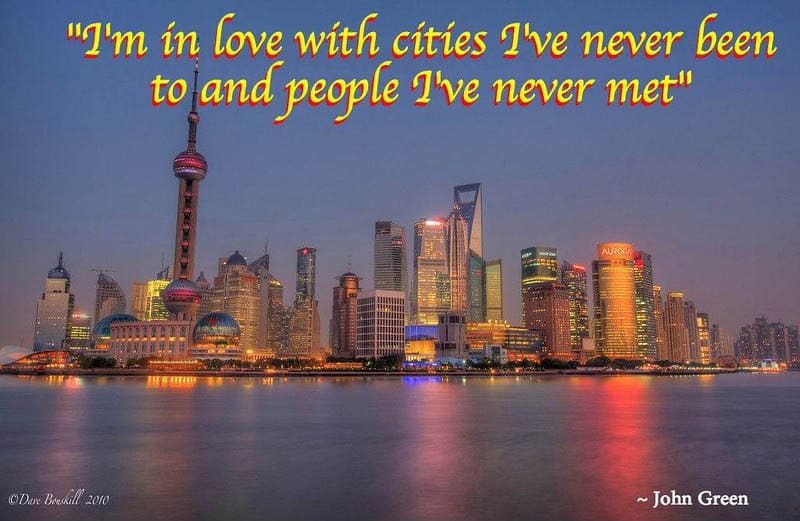 We got this travelling quote from our friend JD of EarthXplorer. Well said JD, Well said. 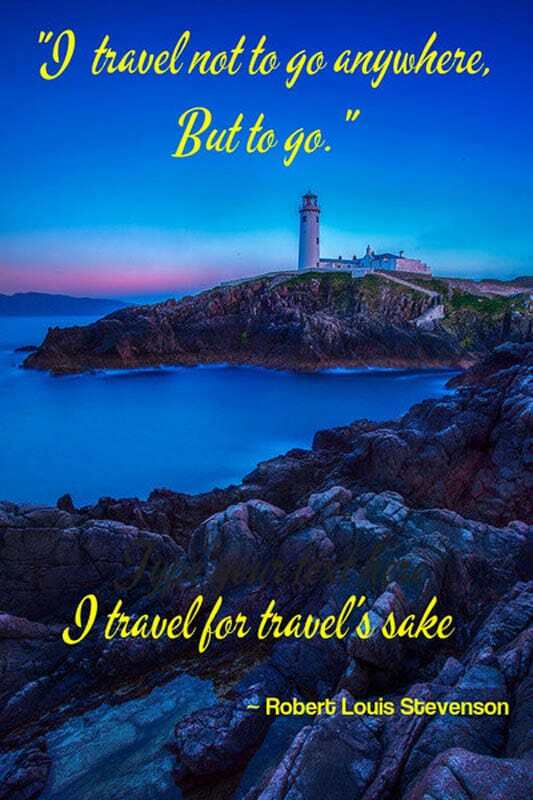 Whenever I read this quotation on travel, I always think of Dido. Not all those who wander are lost. 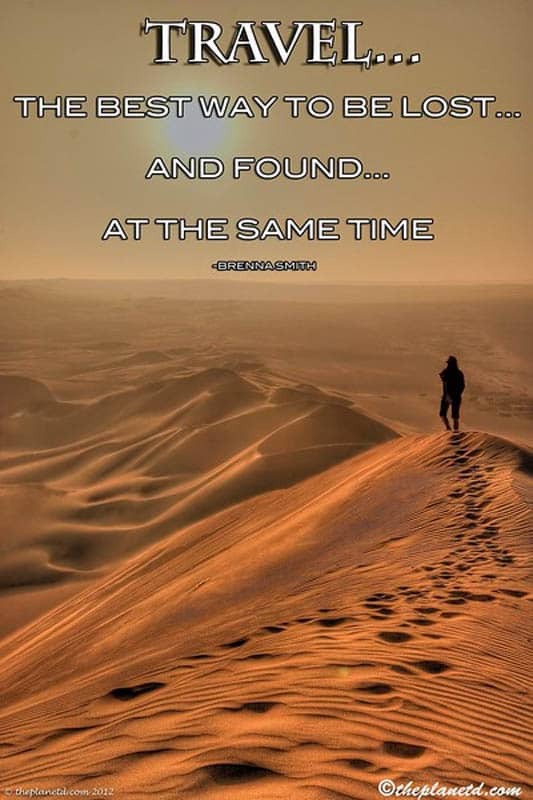 In fact, wandering can help you find yourself, or find that person you lost many years ago. Travel ignites a wanderlust in us all. I think humans were born to travel. We are explorers at our core. We're always dreaming, searching, and looking to discover new worlds and new possibilities. 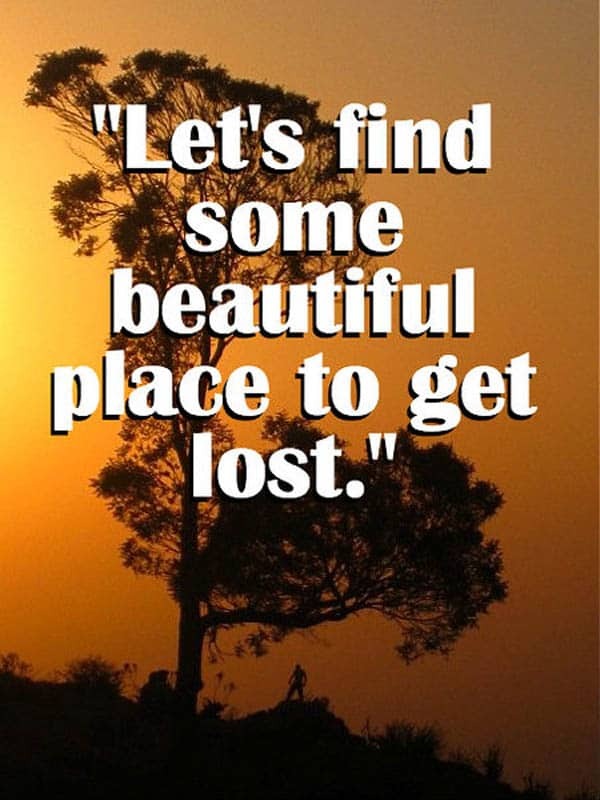 Take a wander with us through these travel quotes to inspire wanderlust. Get some music: It inspires travel too! All images belong to ThePlanetD and are from our travels around the world, to seven continents and 105 countries. You can download our ebook of favourite travel quotes, coming soon! 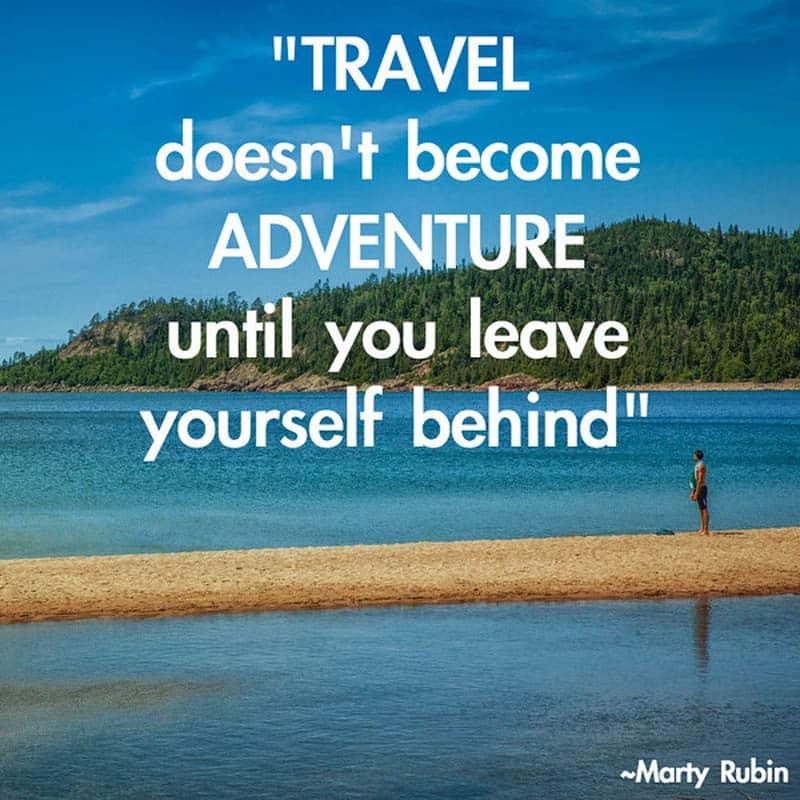 What are your favourite travel quotes? Share it in the comments below. People are often moved by words, and we hope these wise words from others help you find a clear vision for your future. 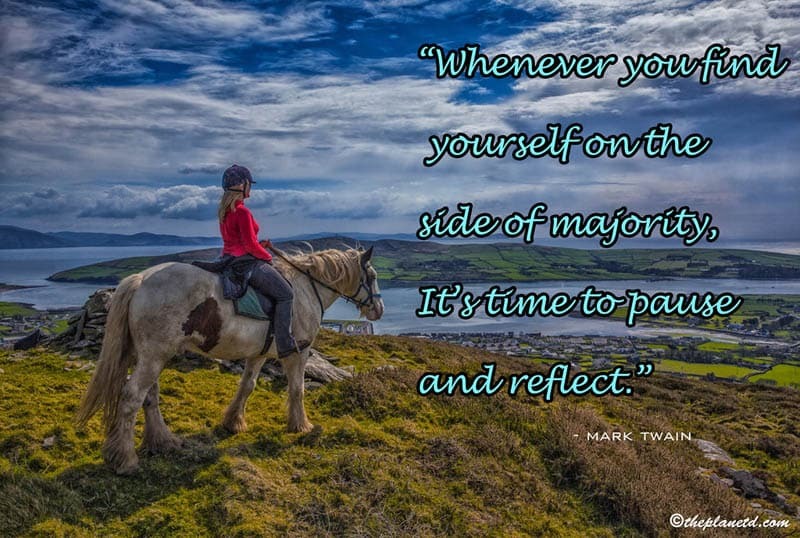 52 Responses to "Best Travel Quotes – 61 Inspiring Quotes in Photos"
Great list of quotes for travelers. Thanks for the post. 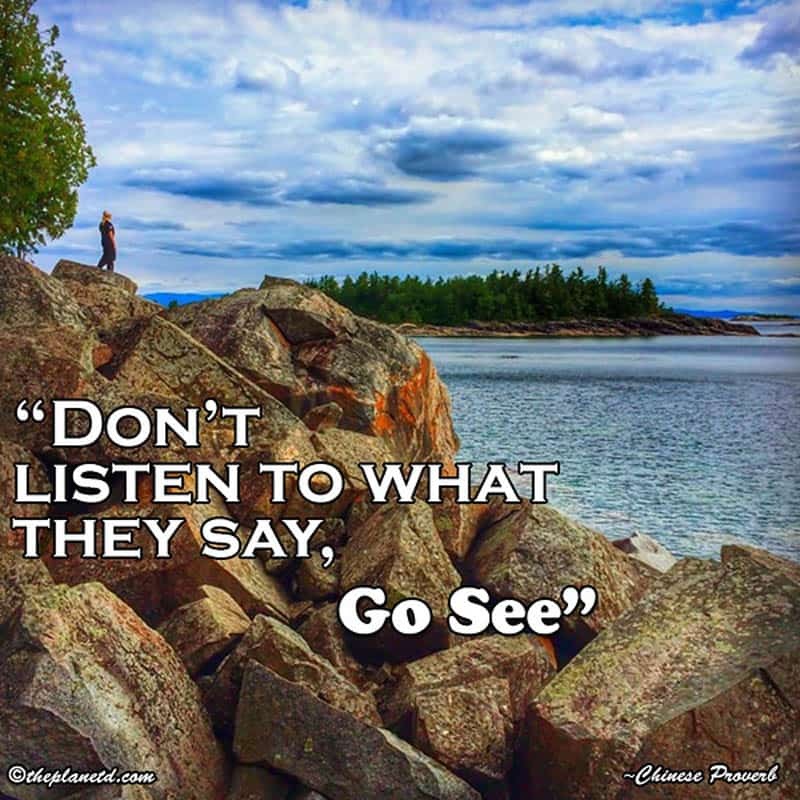 “Don’t listen to what they say, Go see” is my favorite quote. All are the best travel quotes, I have read in my life. Yes, Travelling provide a new direction and new motive to live a happy life. As I am concerned, Travel teaches various new lesson about life experiences, a strong will power for understanding others people. The quotes are very cool.please keep writing. Really wonderful quotes I love seeing the combinations of quotes matched with photos. I love this! It’s one thing to read a quote, but having an image attached really helps you to FEEL the quote. 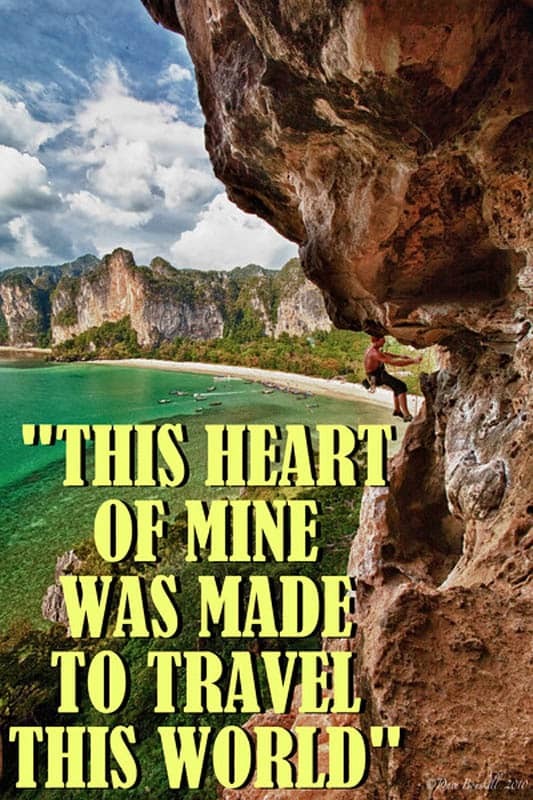 I am so much motivated to travel, because of these quotes. First of all, thanks for sharing these lovely quotes. And this particular quote “Doing what you like is freedom, liking what you do is happiness.” is the perfect example of happiness. Please keep sharing these type of posts. 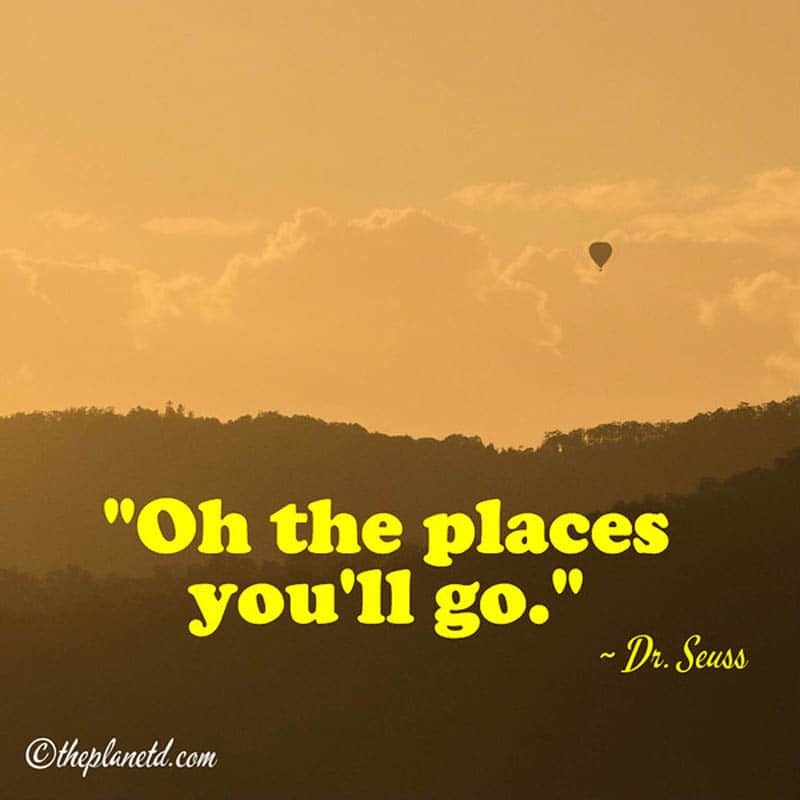 We love reading travel quotes too – always a great source of inspiration! Great article travel is life , birth to death you get all the experiences comes from people and you meet with people with help of travel. 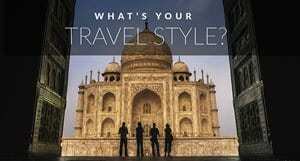 Travel is major part of our life live life travelish. May I add another favorite quote of mine from John Galliano? 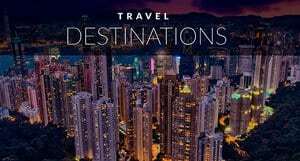 Great list of travel quotes! Awesome quotes collection. Thanks for sharing such an amazing quotes stuff. Amazing quotes! 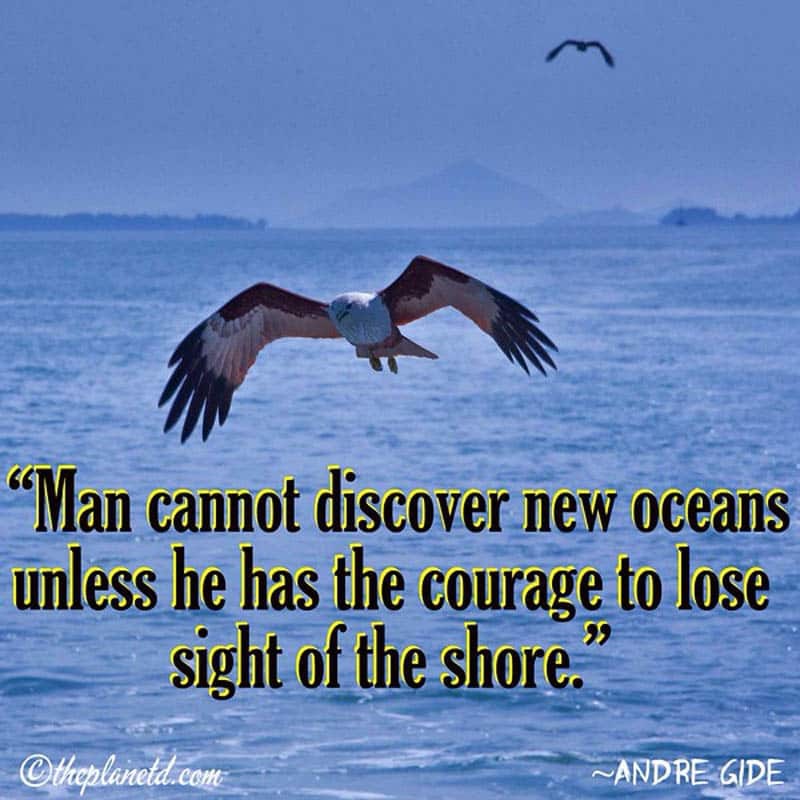 That is true, nothing great can happen until we get out of the comfort zone. It’s just it can be so hard to take a first step and a lack of motivation is not really helping 🙂 But I think these quotes can give all the motivation and inspiration a person needs to start living a new exciting life. Thank you for posting! Awesome post! I love all of these! 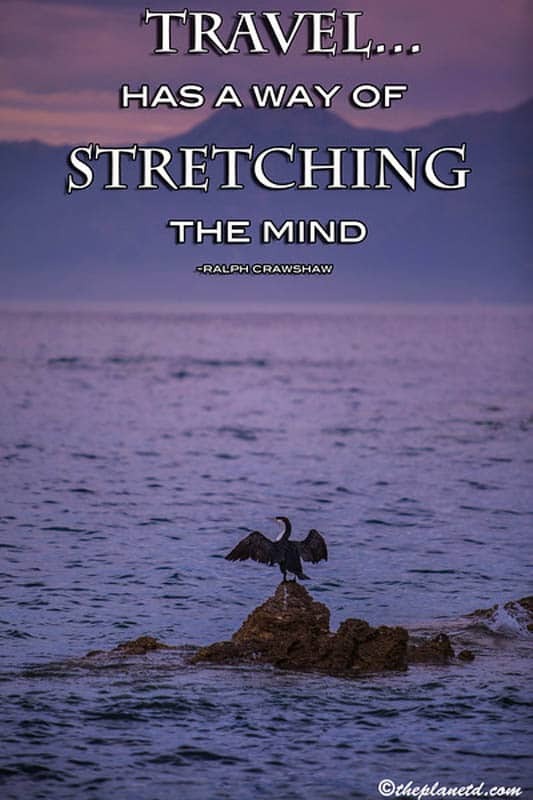 Great blog too, really inspiring ?? I have just taken the plunge and started a travel blog. Ohh! I truly loved this post! And your images are unbelievable! I have traveled to Morocco a few times, but never during in winter. I did travel to Turkey during winter and it was not difficult at all to find best places for visit, like you said, it is fairly an exciting time to travel and the energy is really superior. Thanks to this post, I am not wanting to going back to Morocco! 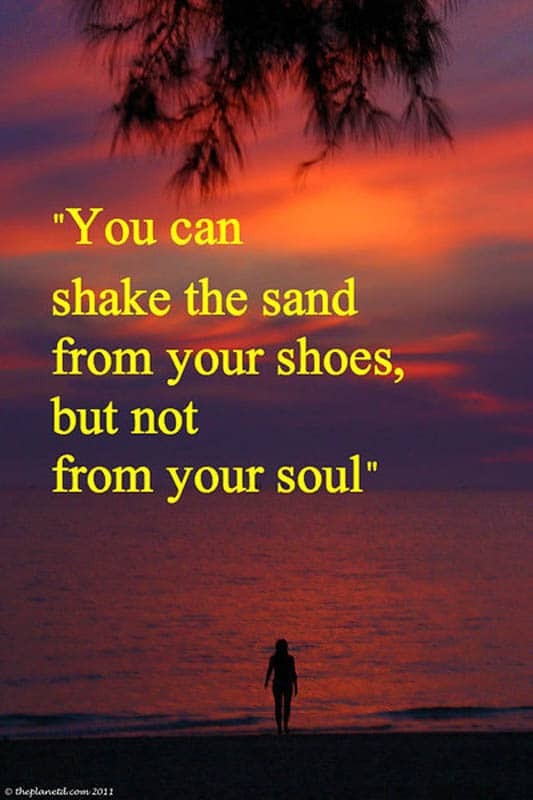 inspiring quotes <3.. i also do blog about them regularly to remind me of bits and wisdom of life. Wonderful quotes I love seeing the combinations of quotes matched with photos. I really should do this with a lot of our travel photos so I have something to look at and continually motivate me to keep adventuring and taking the path less followed. Really thanks for sharing such beautiful quotes. Thank you! Really good post and alive. 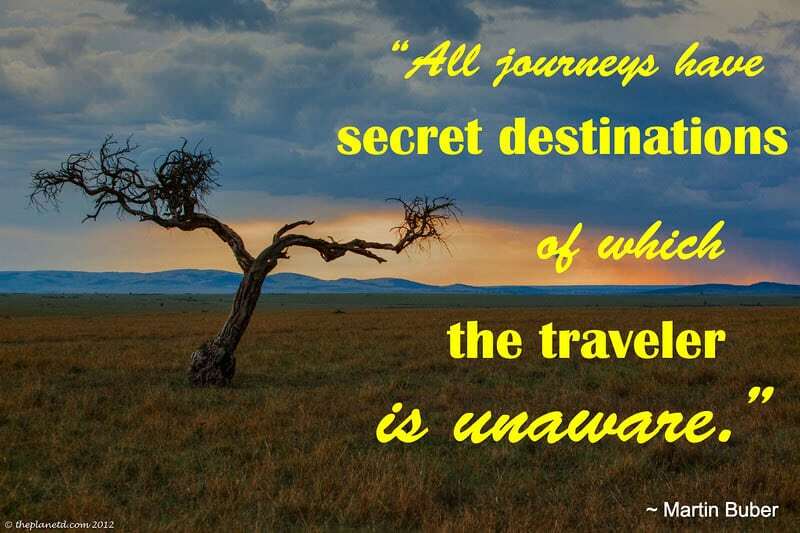 I love travel quotes…so inspiring and full of insight. Great collection. 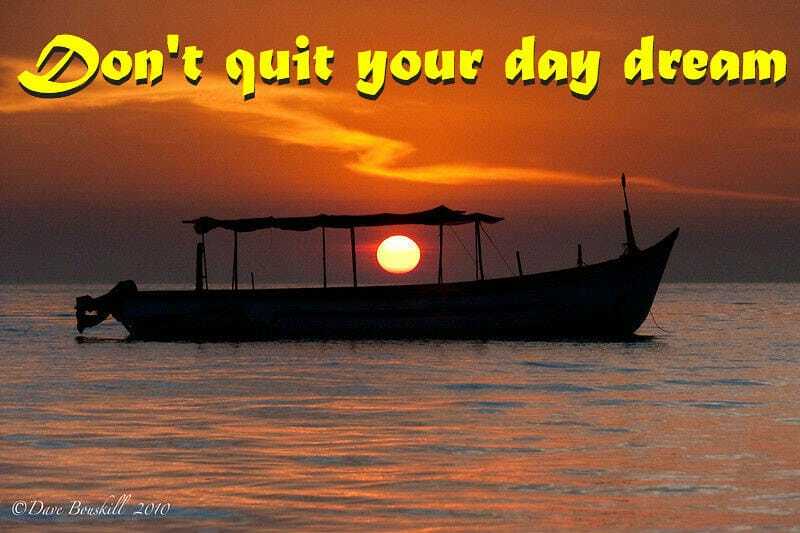 I love seeing the combinations of quotes matched with photos. I really should do this with a lot of our travel photos so I have something to look at and continually motivate me to keep adventuring and taking the path less followed. You miss 100% of every shot you don’t take.–Wayne Gretzky This is how I live my life and view travel. I cannot see the world if I don’t take the shot to get out there. That is an amazing one! And from a fellow Canuck! I’m going to use that if you don’t mind. I’ll be sure to tag you when I do! thanks for sharing. Thanks Jessica. It’s one of my favourite things to do each day. 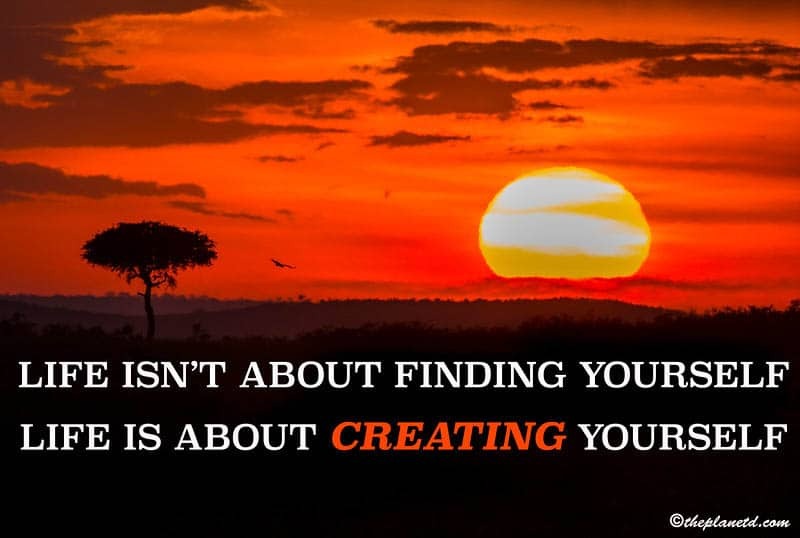 look for inspiring quotes and then look through Dave’s photos to match them up. Travel is the best form of education! Agreed! We’ve always said that is the best way to learn about culture, history, politics…so much! Thank you. If you could credit ThePlanetD on facebook when you do that would be fabulous. Cheers! Wow!! It is Very good through. I love to read that type thought. I am getting a good inspiration. thanks for sharing nice views. So happy to hear we could inspire you! Cheers. Our life is too short but we can make it very nice and most enjoyable to tour nice places in the world, Thanks for your nice post and some alive photos, have a enjoyable life! Thank you! 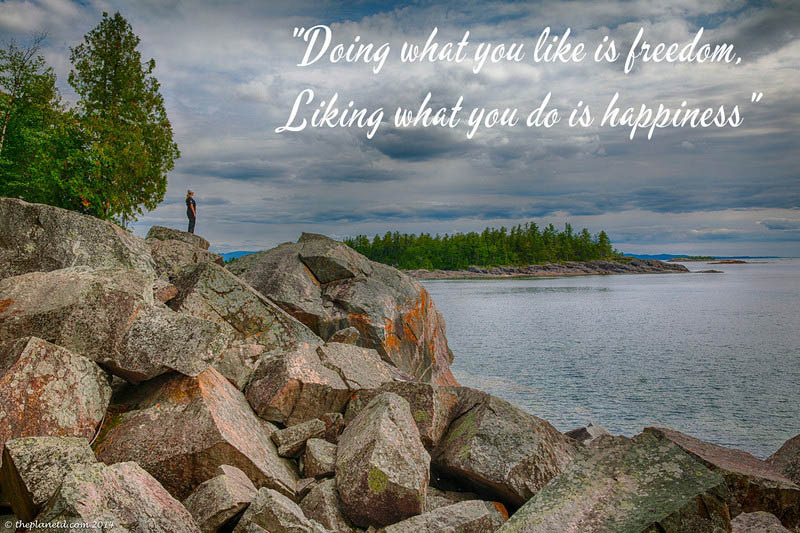 We enjoy putting the photos with the quotes, it helps them to come alive I think. A couple on here I’ve not heard before.